← Cup, Cup and Away! What’s beer got to do with coffee? Well, everything if you’re visiting Culture Brewing or Modern Times because both breweries offer coffee beers. It’s beer week in San Diego (Nov. 6-15, www.sdbw.org), so all the more reason to celebrate the combination of 2 great beverages. 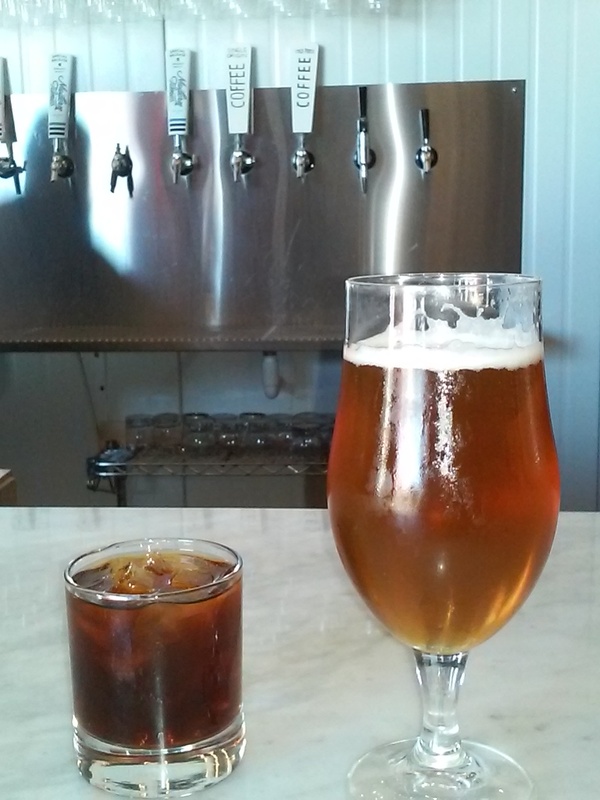 The Coffee IPA we sampled at Culture Brewing in Ocean Beach had a surprising light color. I guess I was expecting the same dark color as coffee. The taste wasn’t quite like coffee, either, but rather there was a slight after taste of coffee. I’m not complaining, just noting what happens when coffee is just one ingredient and not the sole ingredient. 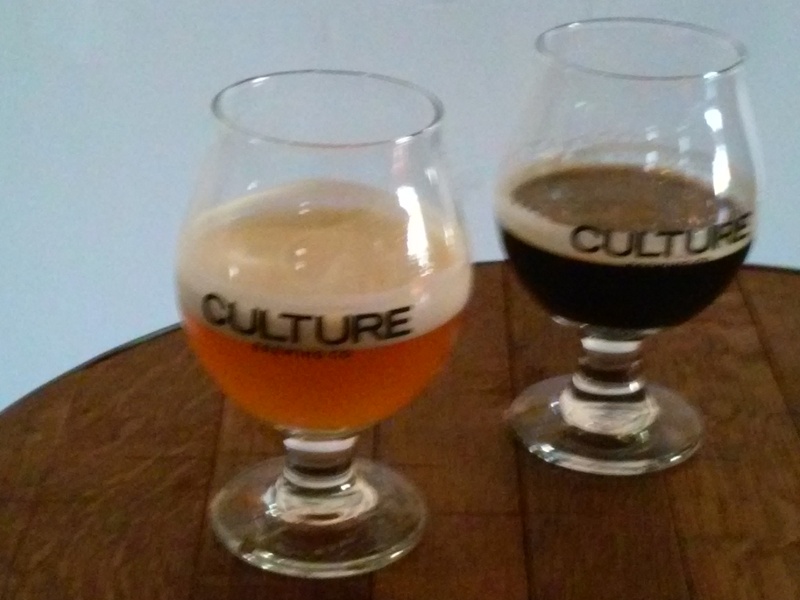 All breweries post the percentage of alcohol in each style…Culture’s Coffee IPA has 4.8% alcohol compared to 8.9% for the Oaked Imperial Stout pictured above. Modern Times has gone one step further and offers coffee beer as well as cold press coffee. They also sell coffee beans by the pound. If you want to try making your own cold press coffee, steep coffee grounds in room temperature water for 12 hours, then strain it through a traditional coffee filter and refrigerate the rich results. For more specific directions go to www.ehow.com/how_5033483_coldpress-coffee.html. Both breweries allow you to bring in your own food (there’s no kitchen in either tasting room). Dogs are welcome in both locations. Yoga is also offered (occasionally) in both venues. When beer isn’t being served there is plenty of floor space for Hoppy Yoga to offer a 75 min. morning yoga session. See www.hoppyyoga.com for their rotating schedule. Cheers to beer with coffee wherever you find it! This entry was posted in brewery with coffee, coffee beer, cold brewed coffee, yoga and tagged brewery, North county, North Park, Ocean Beach, Solana Beach. Bookmark the permalink.